Cinema Tropical's popular series Music+Film: Brazil is back this spring with a special edition presented by Symphony Space featuring five recent Brazilian films celebrating one of the world’s most vibrant musical cultures. The series programmed by Cinema Tropical's Mary Jane Marcasiano will take place April 4-11 at the Leonard Nimoy Thalia at Symphony Space in New York City with the presence of special guests. Kicking off the series on April 4 is Mauro Lima's Tim Maia, biopic film telling the life of the highly acclaimed Brazilian singer and composer, also known for his explosive temper. The film recreates his life, from his teen years till the peak of his career, when he scored dozens of top hits and achieved the status of one of the most popular and beloved stars of the Brazilian music scene. The lineup also includes Axé: Music of a People / Axé: Canto do Povo de um Lugar by Chico Kertész. 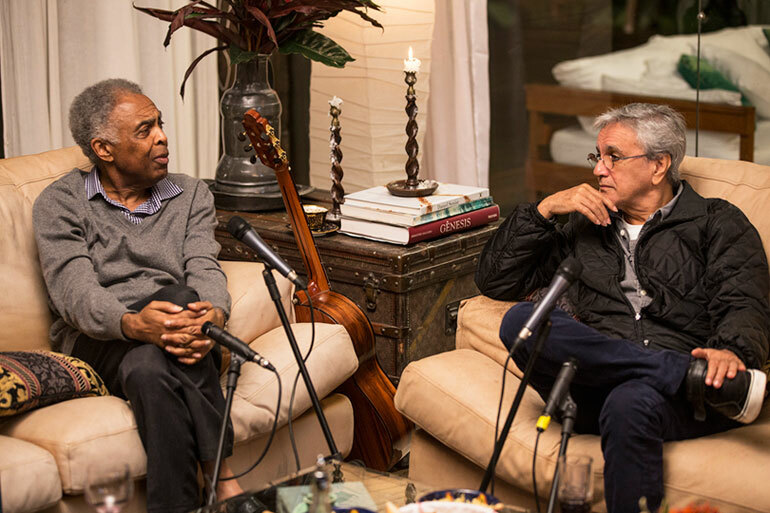 The documentary film tells the history of axé music—the popular genre that originated in Salvador, Bahia in the 1980s, fusing different Afro-Caribbean genres, such as marcha, reggae, and calypso—revealed through interviews with numerous Brazilian musicians including Caetano Veloso, Carlinhos Brown, Daniela Mercury, Gilberto Gil, and Ivete Sangalo. In O Samba, seeking to identify the roots of rhythm that merge with Brazilian identity, director Georges Gachot investigates the importance of samba in the lives of so many people. Guided by the singer Martinho da Vila, who tells stories about his career and introduces the director to his samba school, Unidos de Vila Isabel, champion of the carnival in 2013. Based on his autobiography, Andrucha Waddington and Mini Kertin’s André Midani — An Insider’s Story of Brazilian Music discusses crucial events in Brazilian music by telling about the life and relationships of this music industry executive who molded amazing careers and made the industry boom in Brazil between 1950 and 2000. His story is told through informal gatherings and jam sessions done at André’s house with artists, intellectuals and journalists who influenced him and who were influenced by him. These gatherings contributed many things, both material and immaterial, to the culture of the country. Rounding up the 2017 edition of the Music+Film: Brazil series is the documentary film Naked Eye / Olho Nu by Joel Pizzini which focus on the life and work of the extravagant Brazilian artist Ney Matogrosso. Portrayed through images and sounds with the artist today, archival material home and current performances, the film is a synthesis of his musical career and the editing of the film evokes scenes and situations of Ney on stage and in everyday life. As the title of the film suggest, it dares to undress the man behind the fame, thus probing the motivations of his art, critical thinking, character and libertarian political ideology that permeates the repertoire of Ney, always guided by coherence and aesthetic quality.